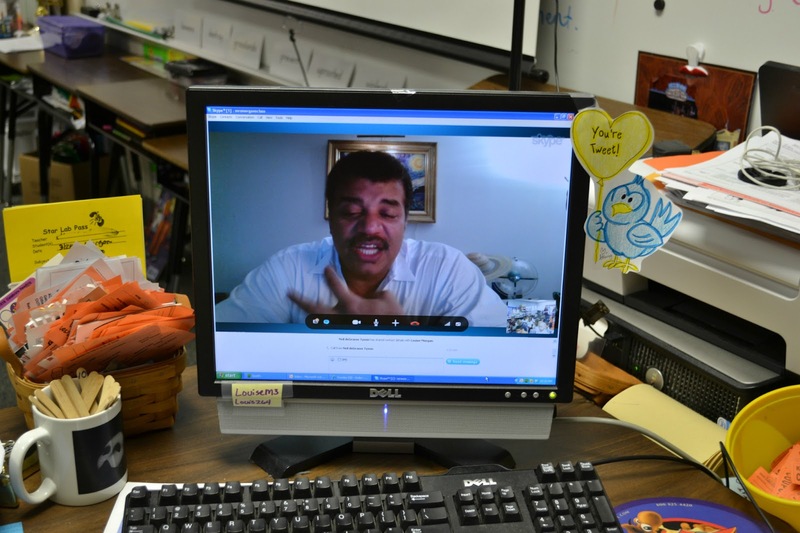 Louise Morgan: Skyping with Dr. Neil DeGrasse Tyson! 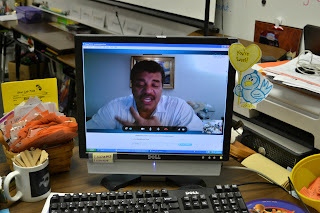 Today my class Skyped with Dr. Neil deGrasse Tyson, an American astrophysicist and science communicator. He is currently the Frederick P. Rose Director of the Hayden Planetarium at the Rose Center for Earth and Space, and a research associate in the department of astrophysics at the American Museum of Natural History. To prepare for our Skype session, we watched the Pluto Files, a documentary on how Pluto was demoted from a planet to a dwarf planet. 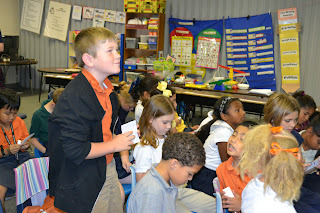 We discussed what we learned and came up with a series of questions for Dr. Tyson. Some of the questions were about Pluto, but there were other inquiries about other planets and stars, how he got interested in science and space, his marital status, and if he could get Bill Nye the Science Guy to Skype with us. Although the solar system is not part of the Texas Essential Knowledge and Skills for 2nd graders, I used this as a cross-curricular activity that involved inquiry, questioning, reasoning, communication skills, and social skills. 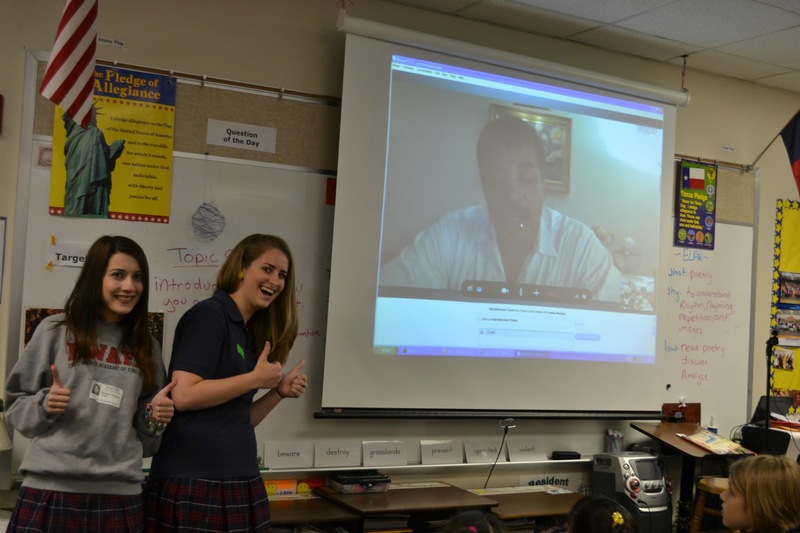 Skyping has changed the way I teach and I love that I have been able to take my students on a virtual field trip around the world this year. A big thank you to Dr. Tyson for taking the time to answer all of our questions. We hope you liked our "Elvis" thank you! Some high school fan girls popped in for a visit! that is the coooolest! you are the coolest!! i feel cooler just knowing i have one degree of separation from one of the coolest coolies ever!!!!!! thanks wezie! That is so awesome for your students!! I am going to Skype for the first time on Friday with a class from Virginia. I was actually just sitting down to figure out how to do it, lol!! 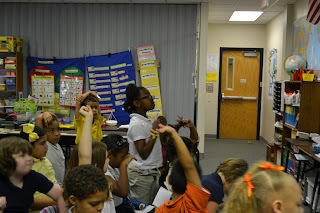 Darn teaching blogs, they always distract me from what I am supposed to be doing!! 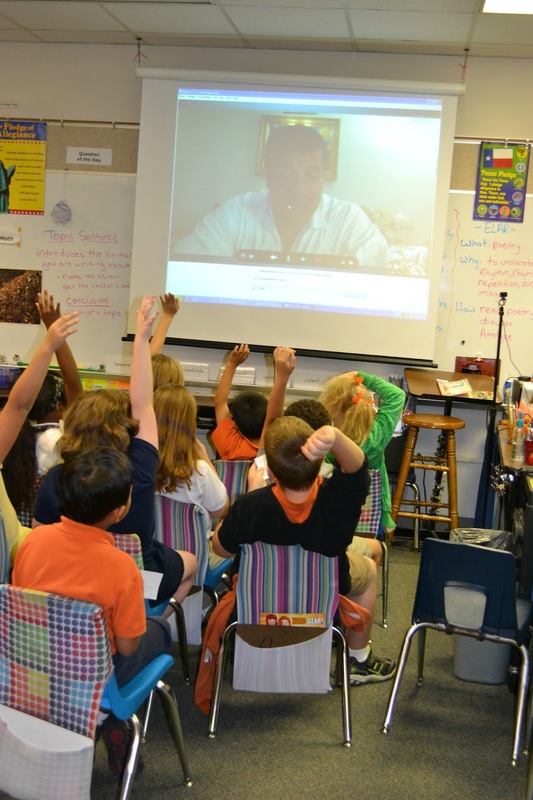 I've never heard of @frugalteacher until today, however I just wanted to say that a Skype conversation between DrTyson and your class may just be the best thing you've done for them. I assume, as always, that DrTyson didn't disappoint. As for the children, well, if you're the type of teacher who would set up this experience for them, I'm sure they're very bright kids and had some fantastic questions. I wish I could have seen it! Good job @frugalteacher and another +1 to DrTyson. Thanks so much for leaving a comment on my blog. That was so nice! And, for the record, many of my SIXTH graders had trouble remembering their passwords! My 7th graders would love this! What a great experience for your 2nd graders.